The 1660 Restoration was marked in Dublin with a popular ceremony on Oxmantown Green. This was an area of rough commonage to the northwest of the city, extending from today’s Church Street as far as the Phoenix Park, where the city garrison took the oaths of supremacy and allegiance in the presence of the lord justices and council. The city subsequently granted the Duke of Ormond lands at the western end of the Green. Ormond was to be the anchor tenant of a new suburb extending from a public marketplace, which was being planned for the Green by the city authorities. The most enduring legacy today of this decision is Smithfield Market. It was ‘the large market place’ mentioned in the order, while the ‘highway’ became Queen Street, so-named in honour of Charles II’s wife, Catherine of Braganza. The allotment which would eventually be occupied by Odacio’s glasshouse (The arrival from Nijmegen of John Odacio Formica brought to the city one of the four men responsible for the heated technological revolution then underway in the production of what is today referred to as lead crystal) was designated Plot 1 in the original scheme and was located on the corner of Smithfield and a smaller open area, the Haymarket. The new development was thus gridded around a streetscape with names borrowed from the Earl of Bedford’s successful development of Covent Garden, thirty years earlier. The lottery was not open to all-comers; most of the names on the leases were those of city aldermen, merchants and bankers, with a sprinkling later to become gentry. 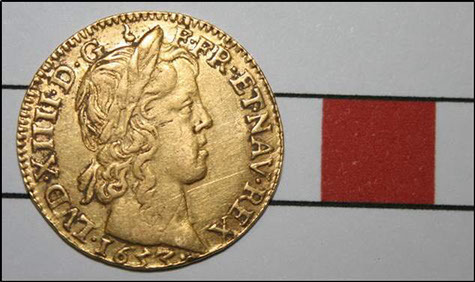 The names of the original leaseholders survive in the archives of the King’s Hospital, which in its former incantation as the Hospital and Free School of King Charles II was granted the rental of both Oxmantown and St Stephen’s Green in 1669. The leases were originally granted by the Corporation of Dublin for ever, with a ground rent of twenty shillings per plot per annum, on payment of a fine or deposit of forty shillings. Alderman John Desmyniers was charged by the city with the task of collecting the various monies (he was to become mayor of the city in 1666). The numbering system remained consistent right through until the King’s Hospital gradually disposed of the properties in the 1960s and 1970s. Plot 1 was thus originally assigned to George Putland from the fourth Friday after the Nativity 1665, Putland additionally having interests in the St Stephen’s Green development. It may therefore be the case that the first buildings were thrown up quickly and were thus susceptible to structural failure. The Blue Coat School was a case in point where, as early as 1690, there was already significant structural decay evident. The school was rebuilt on two occasions subsequently before moving to a new site on Blackhall Place in 1783. It is possible that the early brick houses in the city failed relatively quickly due to the decaying and rotting of structural timbers sealed within brickwork. The propensity for survival of timber frame structures in England was put down to the use of oak and the fact that the timbers were not sealed within the building. In any case, the building work started immediately. In August 1666 Ormond, through the commons, petitioned the city that St Stephen’s Green be used for military exercises due to the fact that ‘the many buildings lately made on Oxmantowne Greene… have taken upp soe much roome there that his majesties horse and foote guards and the citty militia have not conveniency to exercise as formerly’. The gallows on Oxmantown Green would appear to have gone out of use at this time, business being for the most part transferred to St Stephen’s Green. This notionally at least underlines the social inferiority of the south side development and it continued in use as the city’s principal gallows until well into the eighteenth century. By this stage, the committee formed to administer the estate had yet to finish the paving of Smithfield. This was funded through the twenty shilling fines paid to Desmyniers by the leaseholders and by a subsequent donation from Sir Daniel Bellingham, the first lord mayor of the city. It would appear that Bellingham agreed to continue funding the paving until completion, ‘in his love and affection for this citty… without any expectation of interest for such summes of money as by him shall be laid out’. Once the building work had started, only one major infrastructural requirement was necessary to consolidate the development of the area: this was to fortify it against the high tides and flash flooding which periodically inundated the new streets. The consolidation of the shoreline began in 1682 when William Ellis, at the instigation of Ormond, was granted the entire strand running from the Old Bridge westwards to the Parkgate, a total distance of 1.2km, on condition that he build a quay, twelve yards wide. He began by concentrating his efforts on what is now Arran Quay, building the quay wall, and reclaiming the land behind it. A distinct building phase in Smithfield is associated with the construction of the quays, as the engineering works provided a supply of water-rolled cobbles that were used in the construction of the plot walls and latrines of this period. By 1692 Arran Quay, called after Richard Butler, Earl of Arran and Ormond’s son, was designated one of the four quays in the city at which coal might legally be unloaded. This may be an early indicator of the eventual failure of the development as a residential quarter, for the domestic use of coal was not yet common and it was very much a raw material for industries as diverse as distilling, iron working and indeed glassmaking. Brooking’s map of 1728 shows the Green significantly eroded, including the presence at its northeastern corner of a church dedicated to St Paul. The original church was constructed after 1697, in which year it was reported that so many gentry had built their city houses in Oxmantown that St Michan’s church had become too small for the increased population. Therefore, by an Act of Council, two new parishes of St Mary and St Paul were created, and St Michan’s parish was confined to the districts immediately around the church. The corporation then made a grant of land in Oxmantown Green for the new church and graveyard of St Paul, the entrance being on North King Street. The Smithfield development did not enjoy the success of its counterpart on St Stephen’s Green. 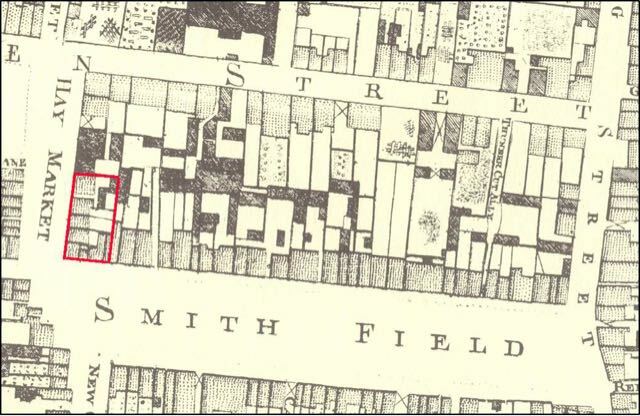 While it is likely that the political disturbances from 1689 onwards retarded the development of the estate, the archaeological indications are that the Smithfield side of the development did not contain high-status housing by the start of the eighteenth century; this scenario was unlikely to change as larger urban estates were constructed to facilitate the growth of the city to the east, although Bective House provides the exception to the rule. In modern terms, Smithfield had lost its anchor tenant as Ormond had built elsewhere. As the stench from the tanneries of Watling Street wafted above that of the animals running amok in the marketplace, many of the more prominent residents may have decided to move on. Arecaeology tells us that the break in the origin and quality of the pottery recovered from the deposits either side of the first quarter of the eighteenth century can be examined with the evidence for small industries establishing themselves in the back yards of the Smithfield plots during the same period. The earliest of these was John Odacio Formica’s lead glasshouse constructed within Plot 1 on the Haymarket frontage, where modern crystal glass was produced for the luxury export market.